Looking for love? Try aisle nine! Grocery stores are the bars of the daytime; they’re a great place to spot someone you like, strike up a conversation, and, all being well, make plans for later. Serana Amin, 28, thinks grocery stores are great places to meet people — and she should know, because she met her boyfriend while they were both working at the Garden Basket in Markham six years ago. “We began to speak during lunch and say ‘hello’ when we would see each other around the store. From there he asked me out,” she said. Not all grocery stores are pick-up paradises. Forget those monolithic supermarkets in the ’burbs; practically everyone is married. And best avoid Costco, because there is nothing less romantic than meeting over the last 100 rolls of toilet paper. 1. Metro Liberty Village. It’s big, it’s crowded and it’s surrounded by condos filled with young, single people. Shopping in Liberty Village is almost like going for a drink in the Entertainment District; the net is wide, you’re bound to find someone you like. 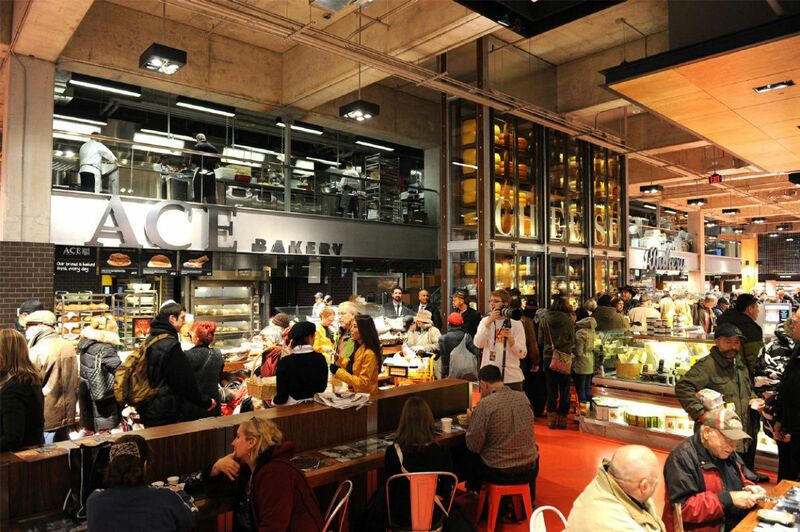 The Metro at Liberty Village has proven popular with the single folk and the grocery chain is hosting its own “singles night” May 28 from 7-10 p.m. Singles are advised to flaunt their status by tying a red ribbon on their shopping cart. 2. Dufferin Grove Farmer’s Market. Farmers markets are a great place to meet people, because shoppers tend to move at a slower pace, which means it’s easier to find the perfect moment to strike up a conversation about heirloom tomatoes. Open on Thursdays from 3-7 p.m., the Dufferin Grove market is perfectly timed for a transition from after-work grocery-mingling to after-work drinks. 3. The Sweet Potato. Localvores/vegetarians/Junctionites flock to this well-priced health food store, which specializes in local and organic products. You may just find the socially conscious date of your dreams lingering over the kombucha, or debating red vs. white quinoa. 4. Cumbrae’s (any location). This high-end butcher puts the meat in the word meat-market. If you have a passion for artisanal bacon and dry-aged steaks, then this is the perfect place to chat up a fellow foodie. 5. Maple Leaf Gardens Loblaws. This centrally located supermarket has an impressive bakery and cheese section — and a great selection of young working professionals. Correction – May 22, 2015: This article was edited from a previous version that misspelled Serana Amin’s given name.